Isn’t it about time you started enjoying your conservatory again? After several years, the conservatory often becomes a neglected room in the house, a glassed-off area where the kids used to play. Perhaps it has even become a second storage area, rather than a room where you can relax in the sun. So what can you do to reclaim your conservatory as a room to enjoy? With so much glass, the walls and roof of your conservatory will get dirty quite quickly. Not only does this grime look unsightly, but it also impairs the flow of sunlight into the room. 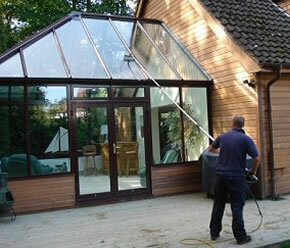 Get your local window cleaner to give your conservatory a good scrub twice a year to remove the dirt. This simple and cost-effective fix will immediately improve the look and feel of your conservatory. So much so, you will naturally want to spend more time in there. Occasionally the sun is just too bright, particularly in the summer months. The glare and heat can turn your conservatory into an uncomfortable greenhouse – certainly not somewhere you want to spend an extended period of time. The answer may be to have some pleated blinds fitted from Thomas Sanderson. Conservatory blinds can be carefully adjusted to minimise glare so that you get the right amount of light and heat to keep the room comfortable. And if you’re comfortable, you’re more likely to enjoy your conservatory. Pleated conservatory blinds are also a relatively inexpensive investment that will improve the overall appearance of your conservatory. If your conservatory feels small and cramped, try adding a mirror or two to the back wall. You should find that by reflecting more light through the structure, you also create the impression of a larger room. Even if you don’t actually gain any more physical space, the illusion should make your conservatory a more pleasant place in which to relax. If you are looking to create a more enjoyable environment inside your conservatory, mirrors are a quick and affordable improvement that can be completed within minutes. Your conservatory is bound to be warm and comfortable in summer, but what about during the winter when sunshine is much weaker? The type of glazing fitted and your conservatory blinds could have a significant impact on the temperature of the room. It could also be increasing your heating costs over the winter. You could improve the conditions inside your conservatory by upgrading your current glazing to a newer, more efficient design. Obviously this is costly, but it may add additional value to your conservatory as well as cutting your household bills. It may sound strange, but adding houseplants not only makes your conservatory look better, but it may also help improve your own wellbeing. According to studies by the University of Michigan, plants help create a calmer atmosphere that improves memory performance and attention span. With a few potted plants, your conservatory becomes more enjoyable and lower your stress levels. A great value investment! Making your conservatory a room you enjoy spending time is again could actually be a lot simpler than you thought. And then you know you have the perfect place to relax as the summer sun enters the panes of glass, and you can enjoy a nice glass of wine and listen to the bird song of an evening. Entertaining guests becomes a whole lot easier when you make the most of your conservatory, even if the weather turns a bit grey, you can bring the party inside, safe in the knowledge you can take shelter in the conservatory, without having to disrupt the pleasure of enjoying the company of your friends and family. So make sure you make the most of your conservatory this year. Although many people choose to use plastic blinds because of their low cost and quick installation, it is important to remember that these are certainly not the only options. In fact, there are many benefits to other choices such as wooden blinds. When it comes to enhanced appearance and texture, wooden blinds are an excellent asset as natural stains can be used in order to highlight the wood’s grain, adding personality to the home. Wooden blinds are also easy to paint and can be used to brighten up any room in the house and coordinate with the furniture and design of the home. Wooden blinds can be used in a variety of different formats including gathered panels, cornice boards and elegantly stylish vertical blinds. This versatility extends also to the type of wood that is used in the blinds as well as the size of the wood slats. If the goal in a particular room is to make the area appear casual, bamboo blinds are an excellent choice with French blinds being a wonderful option for rooms such as formal dining rooms that desire a more sophisticated air. Another advantage of wooden blinds is their ability to provide the home with more privacy. Plastic blinds are typically much thinner than wooden blinds, therefore allowing passers-by to see between the plastic slats. Wooden blinds, which are thicker, ensure that the residents of the home retain optimum privacy. When it comes to maintaining a home, a big factor to consider is cleaning. There is no doubt that wood blinds are far easier to clean than their plastic counterparts. The solidness of the slats combined with their increased thickness allows for quicker cleaning and for a lesser likelihood that the slats will become bent or damaged. 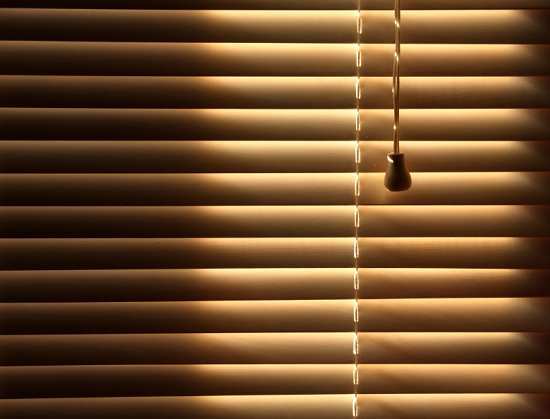 Instead of removing the blinds, the wood slats can be easily cleaned while on the window with a wood cleaner and a clean cloth. When it comes to cleaning, simple and easy is always better. Although there is no doubt that wooden blinds cost significantly more than other options such as plastic Venetian blinds, there are other factors that should certainly be considered such as the durability of the blinds as well as their upkeep. Along with being longer-lasting and easier to clean, wooden blinds are also simpler to customize to a new look. 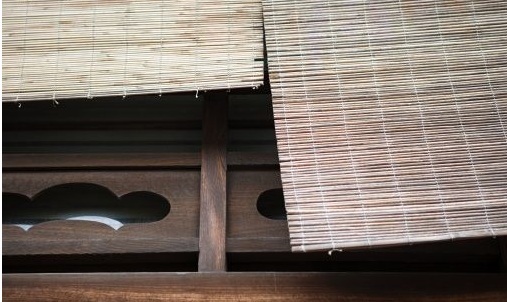 A simple painting or staining can change the look of the wood slats so that they can fit into any décor. This eliminates the need to purchase new blinds with every design change, thereby saving money in the long run. Although wood blinds are not often available at discount warehouse home stores, there are many locations where they can be purchased. In addition to home stores, wood blinds can also be purchased online or special ordered so that the customer is guaranteed the exact blinds that would best fit his or her home. When selecting blinds for the home, wooden blinds are an excellent choice in all aspects including quality, versatility, and style. A home conservatory is an ideal place to relax and enjoy the sunshine. As it is composed almost entirely of glass, it’s the perfect place to take in precious rays of sun. However, especially during summer months, intense sunlight can make the room unbearably hot or even cause damage to the skin. Conservatory blinds provide protection and comfort in three very important areas. 1. Protection against UV damage and overheating. With the destruction of the ozone layer, the sun today is ever more destructive. Skin cancer and other diseases can result from excess exposure to the sun. Bright sunlight can also irritate and even damage the eyes. A conservatory should be a place where the owner can go to relax without having to worry about the discomfort and dangers of being burned by the sun. These blinds provide a solution to this potential problem. A wide variety of materials can be chosen from, depending on the level of UV protection that is desired. These blinds create a warm and comfortable atmosphere while protecting families from sunburn and overexposure to the sun. Not only do they provide UV protection, but they also help maintain a pleasant temperature in the conservatory. Intense sunlight can cause conservatory temperatures to become unbearably high. A recent study shows that conservatory blinds help reduce heat by up to 83%. During cooler months, these blinds have the opposite effect. They help keep warmer temperatures in and keep the cold out, letting home owners enjoy a comfortable temperature in their conservatory all year round. 2. Privacy. A conservatory is a great place to enjoy the outdoor scenery. But, there are moments when home owners also desire their privacy. Many use their conservatory as a dining room and some even use it as an exercise room. On warm summer nights, some even enjoy sleeping in their conservatory. Window blinds provide a barrier from the outside world, allowing for necessary privacy while still allowing an agreeable amount of light to enter the room. 3. Fashion. These blinds can enhance and improve the appearance of the conservatory. 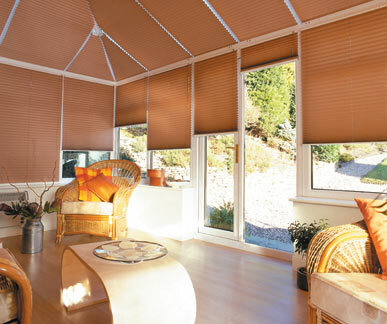 As they come in all styles and colours, blinds can be chosen to match the carpet and furniture in the conservatory. Only well qualified and experienced conservatory blind installing companies should be chosen to put in the blinds. These often have a wide selection of blinds and know how to install them without causing damage to the conservatory. They will also advise the home owner as to what materials would be appropriate and durable in their particular conservatory. They will help homeowners decide on the best looking option that will also last for years. As has been shown, these blinds not only add a touch of elegance to a conservatory, but they also provide protection from UV rays and intense heat. They also provide privacy to home owners. Although they can be a large investment, the benefits of installing such blinds will be enjoyed by homeowners for many years to come. You need to put a lot of thought into furnishing a child’s room. Not only do you want the room to be as safe as possible you also want it to be stimulating and interesting. As well as easy to clean! I recently helped my brother and his wife decorate their son’s room and we found the greatest challenge was choosing the window treatments! For any parent their child’s safety is paramount. Window treatments may not seem to be an obvious danger but children can strangle or trip themselves with the control cords. If you want blinds then look for ones with with short cords, preferably no more than three inches. 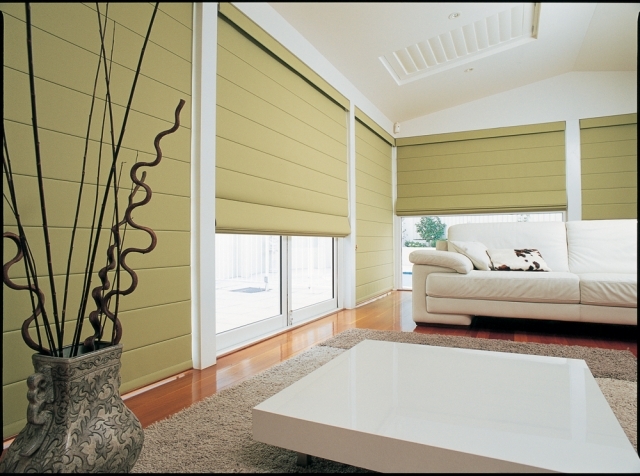 Short cords are most common with roller blinds though roman blinds are also a good choice. Roller blinds are also relatively affordable. Another good option is to consider curtains as they don’t require any cords. It is also vital to ensure that whatever treatment you choose, it is securely installed to so that it doesn’t fall. If you live in the city then you risk you child being disturbed by the street lamps and car headlights. A great way to avoid this is to get blinds or curtains made out of black out fabric. If you live in a quieter area then this is going to be less of a concern. In fact you might prefer treatments which let light in, particularly on school mornings when you want your child to wake up! There have been several studies which show that natural light helps to improves people’s mood and health so if you can allow some sun light in without disturbing your child’s sleep then do! Translucent blinds and curtains will let in a diffuse light, meaning that they can help cool the room and will give you a warm light. Some suppliers also sell duel roller blinds which include a translucent blind you can use when the sun is too hot and a black-out blind for the night time. Alongside these concerns you want your child’s room to be fun! A stimulating environment will not only stop your child from being bored, but will also inspire them to do something other than play on the Xbox. There is a large choice of patterns and designs around which will help to stimulate your child. Roller blinds really come into their own here as not only can they be customised, but they have the largest range of premade designs. In my nephew’s case we tried to find an option that would appeal to him now at two years old but wouldn’t be embarrass him when he was older. My sister in law wanted to make sure that the blinds could cope with several different changes of paint as they hope to have them up for a long time. For that reason we choose dark blue blinds decorated with stars and planets. But the choice obviously depends on the child, the room and the parents. In other words it’s up to you! This is a guest post by Daniel Frank, as UK blogger and interior design enthusiast who is currently writing on behalf of a wooden blinds supplier. A conservatory is an addition to a home, constructed mainly of glass, to allow sunlight to permeate the room and drawing the outdoors to the inside of the home. Conservatories have become so popular that they are designed into the architecture of many new homes, and homeowners are also electing more and more frequently to have them added to their homes. In choosing furniture to fill the space, care should be taken that colours and fabrics will not be affected by all that lovely sunlight. Window coverings such as conservatory blinds, that will offer complete privacy when needed, should be considered, and blinds should either be in neutral colours or a colour that will pick up the accents in other areas of the room. Furniture made especially for conservatories is available in a variety of styles. Fabrics and finishes that will not fade in excessive light should be chosen. Lighter shades of colour are clean and airy and compliment the spacious feeling of a conservatory, and are least likely to show the effects of fading. An excellent choice of conservatory furniture is also the kind of furniture that is durable enough to be used outdoors. Patio and garden furniture are manufactured in diverse materials, styles and colours, and can withstand weeks and months of constant exposure to elements of weather such as sunlight, rain and moderate temperature changes. Wicker, cane and bamboo furniture are not only comfortable, they are durable and will enhance the décor of any area in the home. Metal outdoor furniture of cast aluminium, iron and steel are fashioned in gorgeous designs that will bring out pride of ownership for the homeowner. Teak is another type of outdoor furniture that may be desirable in a conservatory. Teak furniture is stylish, comfortable and durable, but will need to be oiled periodically to keep the wood in good condition. Conservatory blinds are specially treated window treatments to keep heat outside in summer, to keep heat inside in winter, to cut down on glare and to provide privacy. Some of these blinds are designed only for those sections of the roof that are glass, and are capable of blocking out a majority of overhead light if needed. Common styles of conservatory blinds are pleated, Venetian and roller blinds. 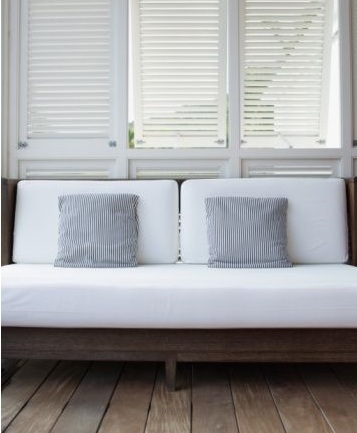 The lighter shades of colour of the side window blinds may be chosen to compliment the colours found in the furniture. Conservatories bring the outdoors inside to be enjoyed in comfort year round. Good planning and design will make the most of the experience. Adding a conservatory is a great way to expand on space and to let natural light filter through your home. 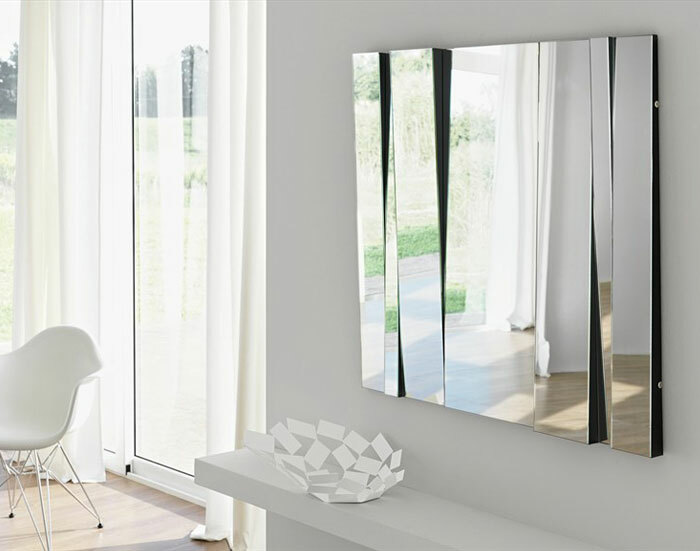 This can be an excellent addition to a house as an office space, sitting room or dining room and if appropriately decorated can be used all year round without having to pay any extra for heating or air conditioning during the different seasons. As conservatories are made up of large glass panels they can become exceedingly over-heated during the summer and cold during the winter. Particularly since the weather in Britain is so temperamental, it is important to decorate your conservatory effectively so you can use it as often as you wish despite the unpredictable cold or hot weather. Using blinds in your conservatory not only protects the space from the heat or the cold but also provides much needed privacy. The glass of conservatories is responsible for inducing heat during summer and heat loss during the winter. But with the use of blinds in the summer the light is reflected back outside, glare is prevented, and in the winter insulates the glass to keep the heat inside. With the environmentally friendly advantages of blinds, they can also help to make a bold statement as one of the main decorative features of a conservatory. There are many different colours and designs for blinds to meet the requirements of the individual customer. Colour blocking is a popular trend when decorating different rooms. As conservatories are mainly made up of glass, using blinds can be a strong feature within the space to fit the rest of the décor of the room. You can choose one particular colour for your blinds that could compliment or contrast with the rest of the furniture for your desired effect. There are many different types of blinds but a current popular choice is roman blinds which come in many different combinations of material and natural products. Using blends of natural materials such as tea leaves and cotton these blinds come in every colour and thickness. They also come in bamboo and other wood variants creating a very natural look. You can also get them in materials that will completely block out the light for example in a bedroom and with the pull of a cord the light will flood into the room. Given the many different colours and designs you can find the perfect blinds to match the rest of the rooms’ décor. Roman blinds come in flat and hobbled designs. The flat designs when closed cover the whole window and lie flat against the pane. When opened the shade will form several folds as it is pulled up, resulting in repeating patterns that add to the ambiance of the room. Hobbled roman blinds provide more of a structured look. They come with extra material resulting in artistic folds in the blinds when pulled down. There are a few choices of having several large folds at the bottom of the blind, or small folds throughout. You can follow Hillarys Blinds on Twitter.